Don Antonio Martinez is credited with creating some of the earliest lucha libre masks, moving to the face veneers from a successful leather boot business. As the story goes, Martinez employed a set of 17 facial measurements (a trade secret to this day) to help make the masks feel snug for the grapplers using them. Some of Mexico’s greatest wrestling stars would go on to wear a Martinez mask, taking the sport to unimaginable heights. It takes some dedication to wear your wrestling mask at all times, inside and outside the ring. 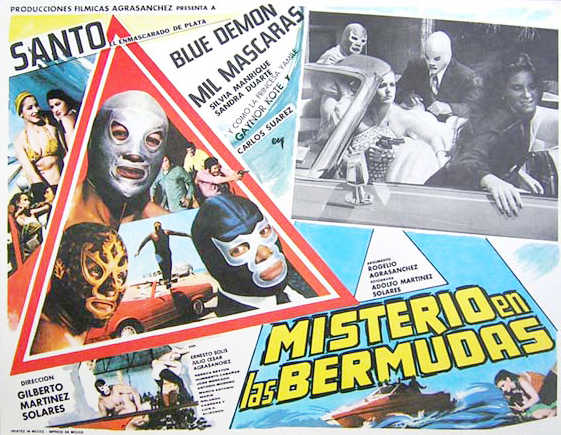 El Santo became one of Mexico’s cultural icons, appearing in countless movies, comic books, and other media. He only revealed his face to the world late in his life. Appearing on a talk show more than a year after his final match (at the age of 65, no less! ), without warning El Santo removed his mask. One week later, the star passed away after suffering a heart attack. The grappler was buried donning his trademark silver disguise. His funeral was one of the biggest in Mexico’s history. Another hugely popular lucha libre fixture was Mil Mascaras. Hell, the guy even appeared on three different Mexican stamps. Mascaras competed all around the world and is considered one of the most influential wrestlers of all-time. A ban on masked wrestlers appearing at Madison Square Gardens was even lifted specifically so Mascaras could work for the then World Wrestling Federation. His legend lives on today through his nephew and current WWE superstar Alberto Del Rio. While Mascaras has never been unmasked during his lengthy career, Del Rio wrestles sans cover. Blue Demon rounds out lucha libres first “Big Three” group of stars (also including El Santo and Mil Mascaras). Much like his fellow “Big Three” alums, Demon starred in numerous feature films, even leading a group of masked wrestlers on the big screen. Together they were dubbed The Champions of Justice and gave other legendary super groups such as the Justice League and Avengers a run for their money. Okay, I made that part up, but they were definitely more proficient when it came to cartwheels and somersaults! I guess the “big three” were kind of like the Rat Pack… yup, Frank, Dean and Sammy were replaced by El Santo, Mil Mascaras and Blue Demon! 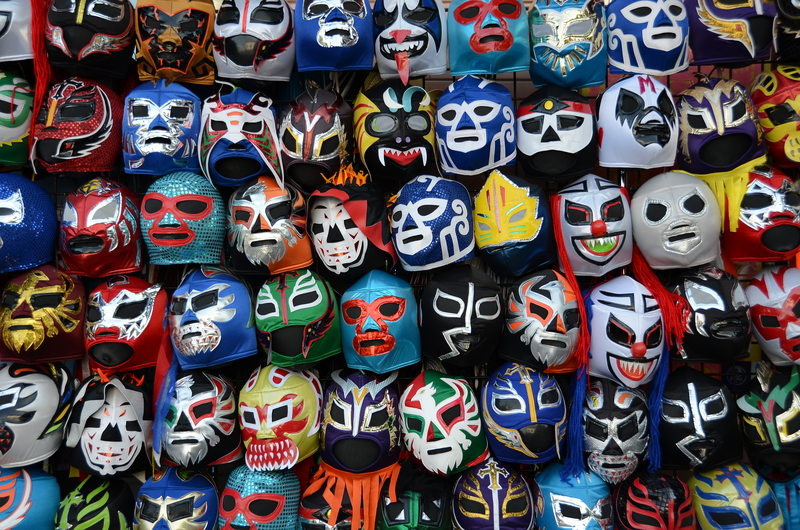 I nearly every market around Mexico, a traveler can find wrestling masks of varying quality to be purchased. The disguises include replicas for some of the biggest stars of Mexico, as well as those for competitors who have gained popularity abroad. You can even pick up the odd comic superhero façade, such as Spider-Man and Captain America. It is humiliating for a wrestler to be unmasked and therefore one of the most exciting and highly-anticipated contests in Mexico is the Mask Match (aka Luchas de Apuestas, which translates to “gambling fights”), where the loser has to reveal their face to the viewing audience. If the masked wrestler’s opponent doesn’t wear a mask, they often put their hair on the line in return. When a wrestler loses and is unmasked, it is common for his personal information to finally be recognized and published. That star is often no longer allowed to compete as that character, a further humiliation heaped on top of the original loss. In 1994, Asistencia Asesoría y Administración (AAA) joined forces with World Championship Wrestling (WCW) to co-promote a pay-per-view event entitled When Worlds Collide. 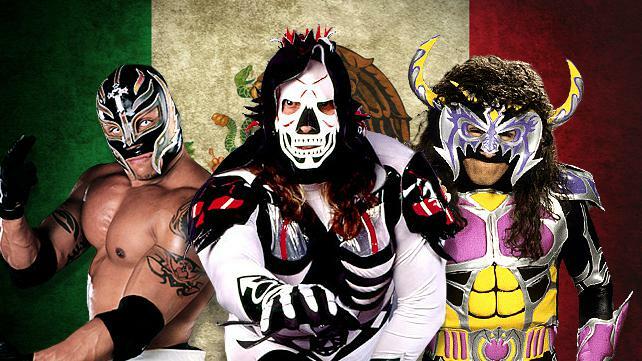 The show launched the careers of many Mexico-based stars, including Rey Mysterio, Jr., La Parka, Eddie Guerrero, and Konnan. Thanks to this platform, the grapplers started being signed to contracts with bigger American promotions like Extreme Championship Wrestling and the aforementioned WCW. Throughout the mid to late 1990’s, more and more wrestlers from Mexico exploded onto the scene in the U.S., exciting fans with their speed, agility, and aerial offense. Things started off pretty well for the imports, but soon turned sour as the roster became flooded with foreign talent, most of whom weren’t featured much and found themselves buried underneath the bigger American grapplers. A number of stars were stripped of their mask in matches that had little to no meaning. Rey Mysterio, Juventud Guerra, and Psicosis all found themselves without their familiar covering and despite revealing themselves to fans, saw little improvement to their position in the pecking order. In 2002, pint-sized phenom Rey Mysterio (nee Jr.) debuted with the world’s largest wrestling company WWE, returning to wearing the mask that once brought him such great popularity. Bursting onto the scene by defeating some of WWE’s top stars, a renaissance of masked competitors seemed on the horizon. Sure enough, in 2006, Mysterio captured the World Heavyweight Title. No small feat (pun intended) for the 5’6” ultimate underdog! The luchadores comprise the Sip Advisor’s favourite style of wrestling. I just love seeing these smaller guys steal the show from the larger, hulking bodies with their crazy, high-risk action-packed contests. Perhaps it’s the cruiserweight in me or maybe it’s just the thrill of watching people fly through the air with complete disregard to their own safety. Either way, I thank them for their contributions to my entertainment. This recipe provided one of my first chances to use the Chipotle Spirit I picked up a couple months back at Rogue Distillery in Portland, Oregon. On that trip, myself and Ma and Pa Sip ate at Gustav’s Pub, where I found this recipe. 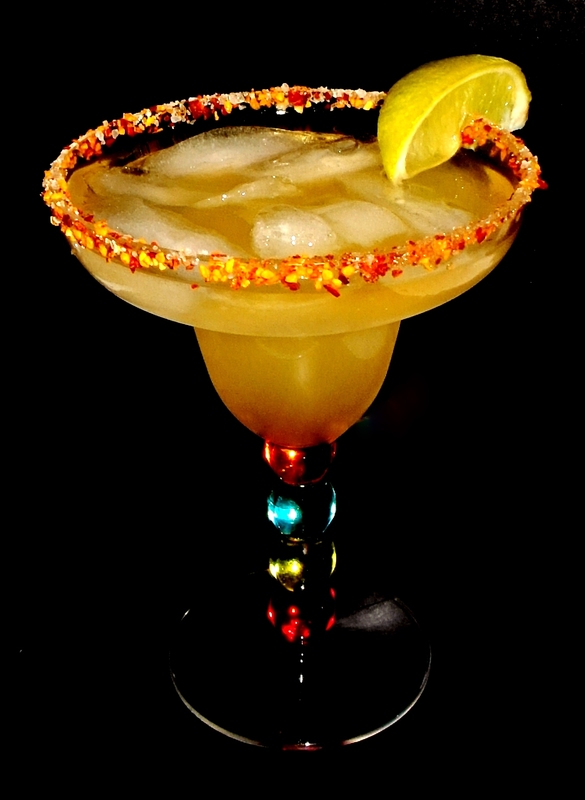 My favourite aspect is the rim, complete with Chili Flakes, which take a margarita recipe and make it that much better. I went with Grapefruit Soda instead of Juice and may have found a new mixer to advocate for. I love my drinks that have a bit of a bite to them and this was certainly no different!